WINTER COAT COLLECTION STARTS NOW! 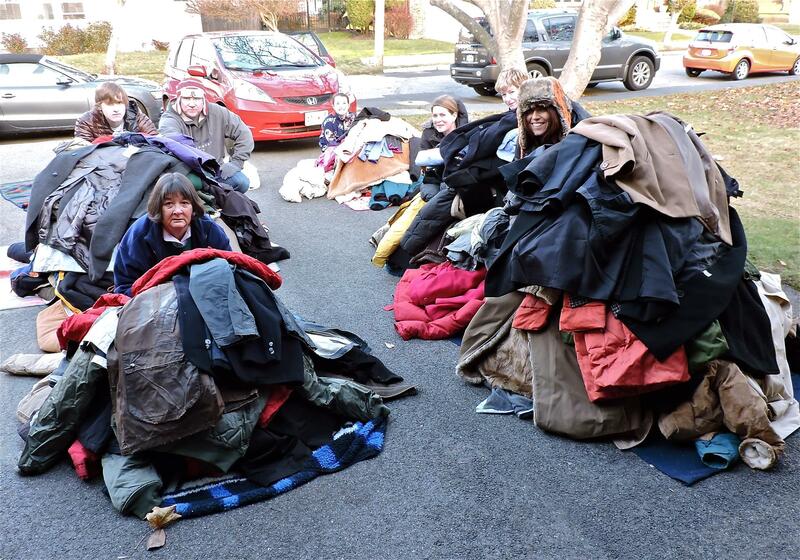 Following the success of last autumn’s coat drive, which collected nearly 400 warm winter coats for the homeless and those in need, the Rotary Club of Marblehead Harbor will kick off this year’s drive on Saturday. Residents planning to purchase new coats this season may drop off their clean and gently used winter coats at the following locations until December 4: National Grand Bank; Edward Jones at 8 Atlantic Avenue; Atlantic Hearing Care, 900 Paradise Road in Swampscott; Salem State University’s Enterprise Center, 121 Loring Avenue in Salem; and Coldwell Banker Real Estate. At the conclusion of last year’s drive, coats for men, women and children were distributed to the Lynn Shelter Association, Lynn’s Department of Children and Families, Lifebridge in Salem, and the Salem Charter Academy. This year, the Rotary Club hopes to increase the amount of coats it collects and distribute them more widely. Marjorie St. Paul, executive director of the Lynn Shelter Association, summed up exactly what the donations mean as follows, “I just wanted to drop you a line and tell you that last winter the coats from your coat drive lasted pretty much all the way through—and we were able to make sure all of our shelter guests were warmly dressed for that miserable snow. A lot of the people who live “out” also came to us and it was wonderful to have enough to help them. I cannot even imagine trying to survive last winter living outside, but about 50 people did. The warm coats you donated were so very appreciated. “As an aside,” she said, “on the first day we hung the winter coats, we did so with the help of three shelter guests. This means they got first pick. As they unearthed one beautiful coat after another, the oohs and ahs turned into a spontaneous fashion show to the utter dismay of this lovely young man who was also helping. “The ladies were in shopping mode, however, and just could not be stopped. As they searched for just the “right” coat for “Mike,” he began to come out of his shell a bit. This was only his second day at the shelter and he was very quiet. The ladies were relentless and by the end they had him laughing and runway walking. For further information on how to donate your coats, please contact Margo W. R. Steiner at 781.639.2535.